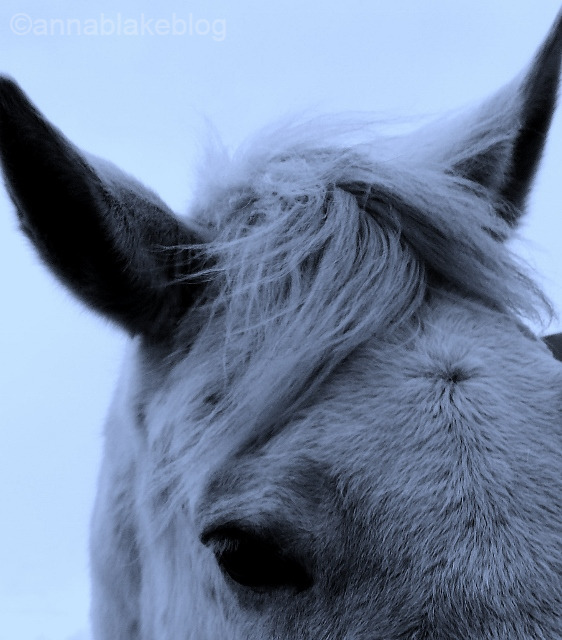 How to Listen to Your Horse. I had a friend who visited my farm during my first years here. She arrived for the weekend with books and wine. We’d cook and stay up late. In the mornings we took our coffee out into the pasture, still in our flannel pajamas, and looked at wild flowers. I’m sure I talked about my horses too much, but she talked about everything else in the universe, so it was probably fair. She loved words and her voice had a musical quality. She never stopped talking but I didn’t mind. To say she wasn’t a horse person was an understatement but one visit she asked to ride. Spirit was the best choice. Back in the day, before his promotion to Grandfather Horse, he was a tolerant guy who loved people who didn’t know how to ride. Have you known horses like that? He found non-riders just a little less trouble. So I tacked him up and my friend mounted and they went for a walk-about. I worked at barn chores but I could hear her chatting with him; the notes of her voice carried in the breeze as they wandered through the pasture and around to the front of the property. There were a few of moments of silence, and then my friend squawked. I looked over and she was moving Spirit as fast as she could toward me, rocking in the saddle, kicking, and calling my name with one hand waving over her head as she urged him on. Eventually they got close, moving along at what you could only call a medium walk at best. Spirit will tell you there is a real up-side to non-riders. “He talked to me. Spirit talked to me, I heard him.” She was thrilled. Usually I keep quiet about horse talk but after a couple of glasses of wine, I could’ve related a comment from my horse while telling a story, or maybe my friend was just surprised to hear another voice in her head. “What did Spirit say?” She seemed excited but it wasn’t like she was really riding him. I was sure she imagined it. “Well, he told me to be quiet, that I talked too much, but still, I heard him,” she said. Dang, that was him all right. He didn’t hold with chirpy drivel and one person’s musical notes might be another horse’s finger nails on the chalk board. “Yep. Sounds about right.” Time for her to get down. She may have heard him, but now it was time to listen. Disclaimer: I’m no animal communicator. I’m talking about just the everyday “can you scratch my backside” sort of chat. Here is how to start: Clear out the mental litter, like work rants and to-do lists. Leave real life at the barn door and let you brain settle and breathe. If the first message you get is something like “You need those thousand dollar breeches with the baby seal skin full-seat,” or “You really should fly to Spain and look for a pasture friend for me”, I’m guessing that it isn’t actually his voice you’re hearing. Start over. Clear you mind of work drama again, lay down the baby seal club again, and keep your horse fantasies to yourself. Listen to the quiet, just be. If you are grooming his rump and he nibbles at his flank, take your curry right there and go at it. Tell him good boy. It isn’t a coincidence, he’s pointing where it’s itchy so take him at his word. If he shows you another spot, go right there and reward him for asking again. Teach him to talk by listening. All this gets more important once you hit the saddle and you hear his small voice say My right shoulder is the stiff one. What you actually notice is that he is counter-bent and now is when you normally pull that inside rein. Instead of your usual counter-attack, bring your calf quiet and sweet to that soft spot just at the girth and let him feel it quietly rest there, following each stride he takes. You don’t have to kick him, just remind him that’s where bend starts. No louder than that curry conversation while grooming, just consciously follow him. He’ll resist, reminding you that he isn’t kidding, it’s really stiff. You remember what a tight neck feels like, so your heel urges softness, like a warm touch. As your sit bones ask for a forward, rhythmic walk, let your inside rein ask for a poll release for just an instant. Don’t even hold it long enough for him to answer, it’s just a suggestion that it might feel good to him to loosen his poll. Let him think before answering. Your horse can’t say it any clearer, his shoulder is tight and you have a choice. Teach resistance by jerking the bit against the bone of his jaw, or you could release that inside rein just an inch and release his poll just enough to remind him what a release feels like. Just like he showed you the curry spot, show him a softness in your asking hand. Then a tiny ask again, opening your inside hand another inch, wider not back, and still in rhythm with his stride, while your inside leg supports his tight shoulder with warmth and softness. Think heating pad. Give him a moment to read your intention to soften, and not fight. Keep walking and let him feel your patience with his shoulder. He will give it to you when he trusts your cue to release is not going to hurt and his muscles are warm. Releasing on cue, being supple, is how your horse tells you he trusts you to not bully him, but instead help him where it hurts. Just like the curry, this is a language you can build on. Trust = Relaxation. It isn’t any different than if someone grabbed your face. It’s a decision you make to trust that person and surrender to a kiss, or flinch and escape. Asking for bend is just that intimate, just that vulnerable. Violence is always a poor excuse for understanding–it’s just common sense to distrust a bully. “Teach him to talk by listening.” I LOVE this! Thank you. Thanks Anna! You always manage to reignite my spirit! So thankful I found you! Thanks for coming along on the ride. Morning! I love reading your stories and sharing them with other riders at the barn! Thank you, I like being in your barn, too! “He found non-riders just a little less trouble.” That sure made me laugh. I did know a horse like that. I smile about it still and he’s been retired for 12 years! Safe with kids, but always a bit of a challenge for me! Great post. Loved this morning read! Great post. Have you written a book yet? Have I written a book? HAVE I WRITTEN A BOOK? I’ve finished a memoir and compiled a training book from this blog… and have a third in process but no publisher yet. Find that story at http://www.annablake.com. And thanks for asking!! I love this, Anna. Thank you! I don’t have horses anymore, but your blog posts still speak to me! You can hang with our horses, glad to have you. As you well know, I’m the farthest thing from a horse person and actually wonder if horse people are a divergent species of human. I’ve always wondered how you do this communicating with horses (actually all animals) thing. This blog entry goes a long way towards explaining it in a way a civilian can understand. Thanks, Dude Rancher. Living with a divergent species can be a challenge. I would say it could be worse, you could be married to me…. but you are. Thanks for sticking with me. Thanks for reading–and happy riding. MIne talks to me all the time. Most recently – Val had to remind me (once again) that it is tick season (! ), by poking his nose all the way into his nethers. Like, contortionist style. And I thought – for the third, or maybe fourth year running – my goodness, he’s really getting a big stretch there. Then, ding, ding, ding – light bulb. As the searching commences, he’ll even spread his stance wider to accommodate me. While I fiddle around trying to grasp the slippery devils, he won’t move a muscle, patient, no matter how long it takes or how uncomfortable my groping becomes. If I quit before I’ve found all the noxious critters, never fear, another nudge will come. Followed eventually by satisfied sighs of relief, and appreciative nuzzling. I don’t even feel like a nutty horse crazy woman sharing this story here. Thanks! Heheheh! Tick picking is totally appropriate here. We don’t know the meaning of nutty horse crazy woman. (Or maybe we do!) Thanks to you and your boy, minus the ticks! Thanks Anna, your wit makes me smile. I sure like the tick picking story in the comments! I have learned over the past 40yrs of being an animal communicator that horses pick up our emotions and thoughts 24/7/365. They tap into us even when we aren’t in the same state. My two horse children talk to me as I am in the house and they are in their area outside the kitchen door. But they differ in their personalities so have different things to say. Gracie my mare is giving me a running commentary on my gelding Comet and Comet is telling me precisely how close we are to the next feeding… grins. And we communicate with them even without conscious intention. I have learned to be mindful of my thoughts and feelings. If I just have the passing thought of going out the kitchen door with some carrots, I can hear them coming into the barn waiting for them. Life with our horses is special. Thanks for your comment, and I agree, horses are a gift every day. Thanks for the lovely thoughts and thoughtful expressions. I was working on the same thing with my old mare this evening. She’s had the winter off and is stiff all over. I was inspired by your dressage/massage workout, so we did lots of stretchy walk and loopy esses. I feel like we got really tuned into each other by the end of it, and when she said she was getting tired and wanted to finish up I heard her before she had to insist. Without sounding like too much of a dork, can I say how happy this makes me? Comments like this make it all worthwhile. Scratch that good mare of yours, and get yourself some chocolate. Good girls. Thanks Anna! I am over the moon right now because she spontaneously offered me canter tonight, I think she’s feeling better! What a lovely thing, love to hear this. Thank you. You have a good start. Did you read this one, it speaks a language you understand. Thanks for sharing — I have a grandfather horse who will appreciate my desire to practice this sort of approach with him. We don’t have anything we really need to accomplish, so it can all be just about the conversation. He’ll love that, nothing better.